Today members of the ISCAPE Project team from the University of Bologna are taking part at the CAPTOR International Conference in Milan. The CAPTOR project is funded by the EU H2020 programme and addresses air quality with a specific focus on tropospheric ozone. CAPTOR’s purpose is to demonstrate the power of Collective Awareness Platforms (CAPs) to foster bottom-up collaboration of local communities, citizens, NGOs, and scientists to raise awareness and find so¬lutions to the air pollution problem. For that purpose, CAPTOR has created a network of low-cost sensors hosted and preserved by volunteers in the Pianura Padana (Italy), Eastern Austria and Catalonia(Spain). In CAPTOR, citizens and scientists collaborate closely to monitor ozone pollution in targeted areas, enhancing people awareness and challenging policy makers to find shared solutions. 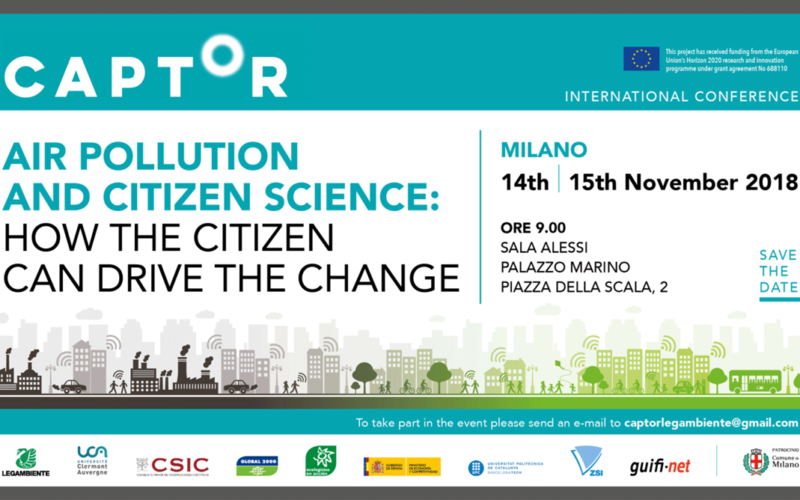 The conference is a great opportunity to share our experience in citizen science and air pollution, and to explore synergies with other EU funded H2020 projects.